 DNL747, a brain-penetrant small molecule, is currently being evaluated in early clinical stage trials, known as Phase 1. Phase 1b studies in Alzheimer’s disease and ALS patients are expected to commence in the near-term and will inform the subsequent clinical development. Denali will lead the Phase 2 clinical trials in Alzheimer’s disease while Sanofi will lead the Phase 2 clinical trials in MS and ALS, as well as future Phase 3 trials in all neurological indications.  DNL758 is a small molecule that does not penetrate the brain. 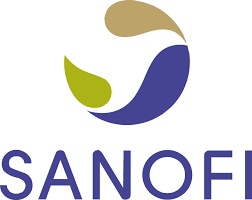 Sanofi will lead clinical development activities for all systemic inflammatory diseases. The clinical trials are expected to begin in 2019.